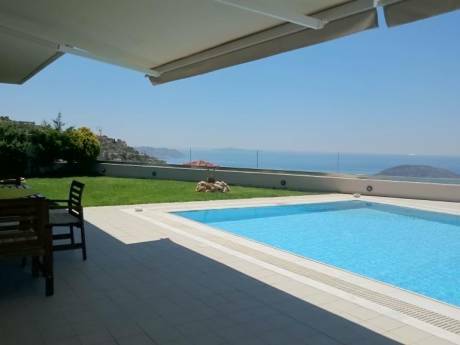 Our villa is build in a traditional fishing village called Finikounda, its spacious and comfortable, it is set on a three hecters of olive groves minutes from the beach ( about 600 meters) and about 800 meters from the village. 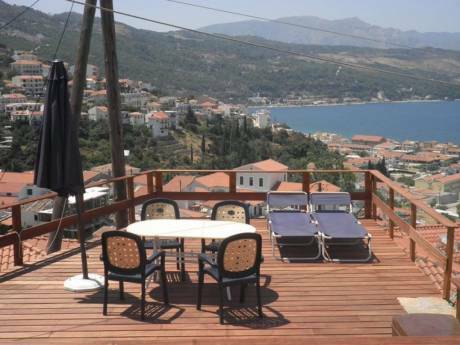 The house has 2 bedrooms with kitchen, family and dinning room and a bath, and also has the option of a studio connected with 1 bedroom and a bath and a small kitchen, it sleeps 6 people has balconies all around with views of the village water and mountains. You can walk to the village and enjoy the local dishes at the small tavernas by the edge of the water. 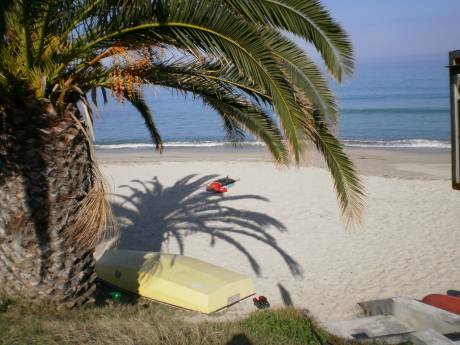 We have one of the best sandy beaches in europe and offers all water sports. Its a perfect place for family holidays and the children have lots of space to play. Finikounda is 75 km from Kalamata 15km from Pylos and 150km from Olympia where the original Olympic Games took place. Also there are different archeological sites near by. Also you can view the web page of the village at www.finikounda.com for more information.Available also for rent. We are Litsa and Sylvan Greek - Americans who live in Seattle Washighton and also own a summer house in Greece. We are semi retired we love to travel to europe and see the culture. We build the house about 11 years ago and we live upstairs and the dodwnstairs is avalable for our children. We have 3 daughters and 3 granddaughters wich the live in Seattle and they visit when they can. We like to swim, hike, bike and also we love to cook. Finikounda is a picturesque fishing village at the back of a bay. Caiques and fishing boats are drawn up all along its sandy, while its tavernas serve their fresh catch to little tables at the water's edge. The road winds like a vast serpent slowly amidst lish fields to arrive at Koroni. Its midieval atmosphere is imprinted in its old mansions, its churches and its castle. Methoni wich is about 7 km from the village with some of the enormous Venetian castle.